As an author, speaker, 1-on-1 business coach and consultant, John Nemo helps individuals, organizations and businesses boost their brand, generate sales leads and increase revenue. The son of two English teachers, John grew up in a home where the basement walls were lined floor-to-ceiling with books. A lifelong love of story led him to a career in journalism, where he started his career in 1997 as a reporter for The Arizona Republic and later The Associated Press. John later worked in talk radio as a producer and on-air talent at KTIS-AM radio in Minneapolis-St. Paul. He also served as a freelance writer for hundreds of different magazines, newspapers and websites, covering topics ranging from Fantasy Football to Norwegian Architecture to Rock Music. John has also worked as a national-award winning PR and Social Media Director for large trade associations in the debt collection and healthcare industries. During its first 90 days, his 2009 PR campaign for the consumer financial education Web site Ask Doctor Debt led to more than 125 interviews across the United States, reaching an estimated 25 million consumers and netting an estimated $1 million in free advertising/publicity value. John was also was able to secure a weekly, ongoing segment for Ask Doctor Debt and ACA International representatives on top-rated Fox News Channel that ran weekly for more than four months straight. In 2010, John’s PR campaign for the Minnesota Nurses Association (MNA) reached an estimated 133 million people in just 90 days and would have cost $5 million in advertising costs to duplicate. Billed as the largest nurses’ strike in U.S. history, John’s campaign garnered local, national and international media coverage from outlets as far away as BBC Radio in London. During those same 90 days, John created and executed a Social Media Campaign for MNA that took its Facebook page from 0 to 11,000 fans, racking up 496,000 views. He also created and distributed content through an MNA Blog that generated 342,000 page views and 2,800 comments, along with building a YouTube channel that generated 97,000 page views. In the summer of 2011, John helped create and release the Minnesota Nurses Association iPhone/iPad App, which made MNA one of the first Labor Unions in the United States to release its own App. It allowed MNA’s 20,000 members to get the latest association news, videos and updates, report unsafe staffing at their hospitals, look up and contact their local legislators and more. In 2012, John Nemo left MNA to start his own marketing agency, Nemo Media Group, which provided services including Consulting, Website Design, Copywriting, Video Marketing, Social Media Marketing, Content Creation, Sales Presentations and more for clients across the United States. John is also the author of seven books, including LinkedIn Riches: How to Use LinkedIn For Sales and Marketing! 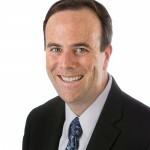 John’s success using LinkedIn for lead generation led to him creating the LinkedIn Riches premium online training program, along with guest blogging for industry-leading sites such as Social Media Examiner, American City Business Journals and others. 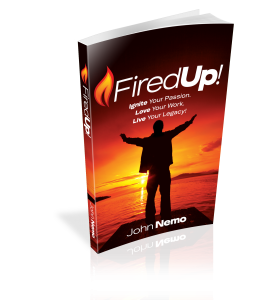 John's most recent book is Fired Up: Ignite Your Passion. Love Your Work. Live Your Legacy, which was published in late 2014. John is married to the most amazing woman on the planet (Sara) and together they are raising three wild boys in the Minneapolis-St. Paul area.